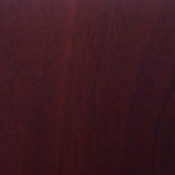 Mahogany is a tree that comes from Latin America. 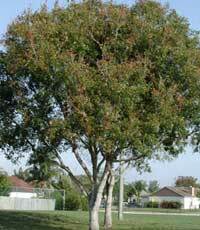 Mahogany is a large canopy tree that sometimes reaches 150 feet high and has a 6 foot diameter trunk. 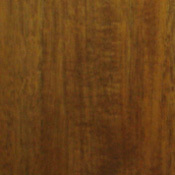 Mahogany has a wide variety of uses from furniture to boats. Mahogany Hardwood Flooring is beautiful flooring that is becoming increasingly rare. 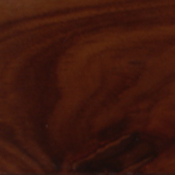 Mahogany has a vast amount of color variations from a yellowish, pinkish, or reddish color to a reddish brown color as the wood matures. 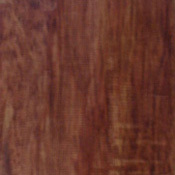 Mahogany is a wood with a texture that ranges from fine to medium, so it will rarely feel course or rough. 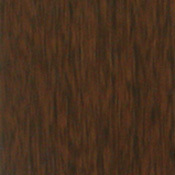 Mahogany grains interlock, but the grains can be either straight or wavy. 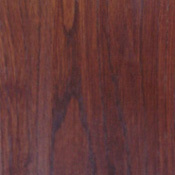 Mahogany takes polish very well and will accept a high luster. This type of wood will also accept nails and screws well, and responds well to machine tools. Mahogany is a good wood flooring, but their are many types of mahogany, a few examples are Red Mahogany with a hardness of 2697 and Santos Mahogany with a hardness scale of 2200. 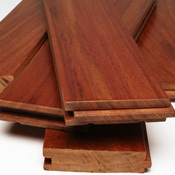 Every type of Mahogany is different in strength, durability, color, etc., so be sure you know which type of Mahogany will suit your flooring need. 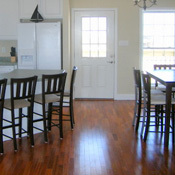 Mahogany is a great flooring product, but is becoming harder and harder to come by. Mahogany works wells with tools and the like, but remember to consider all flooring options before you make your final decision. 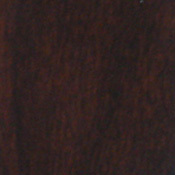 These are some Mahogany Products we offer.